Berner has been a responsible actor in the society throughout it's history. Economic, social and environmental responsibility is considered in all our actions. Responsibility towards our stakeholders is an integral part of our company’s values, operating methods, management and day-to-day work. We produce and import products and services that bring more well-being to people’s lives and that are produced sustainably in every way. Our goal is to continuously improve customer satisfaction, job satisfaction, competitiveness and profitability, while also harmonizing and developing operating methods to promote responsibility. The company has direct responsibility for its own operations and production, as well as indirect responsibility for the operations of its supply chain and distribution partners. 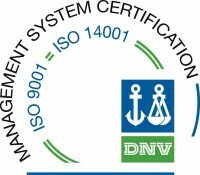 Our operations are certified pursuant to the ISO 9001 quality management certificate, the ISO 14001 environmental management certificate, the ISO 22716 certificate regarding the manufacture and storage of cosmetics and hygiene products (GMP, Good Manufacturing Practices), and a third-party assured ISO 13485 quality system required for the manufacture of healthcare equipment. Our laboratories in Herttoniemi and Heinävesi are GLP certified from the Finnish Medicines Agency (FIMEA). Defined by the OECD, GLP (Good Laboratory Practice) is intended to produce reliable and sufficiently high-quality laboratory testing for purposes such as use by the public authorities. Our corporate responsibility program comprises economic, social and environmental responsibility as well as a responsible supply chain. We define the program’s key focus areas and objectives based on the company’s strategy, business goals, stakeholder expectations and the megatrends related to responsibility. Our principles reflect our values, work, integrity, humanity and The Ten Principles of the UN Global Compact. The choices we make help keep jobs in Finland, reduce product transportation distances and reduce transport-related emissions. We provide training to our staff to ensure that everyone can reduce environmental impacts through their own actions. We use life-cycle analyses in product development to manufacture safe products whose environmental impact is minimized. Our choices of packaging materials are aimed at reducing waste while facilitating the subsequent recycling and recovery of packaging materials. We manage the producer responsibility of our packaging via an agreement with Finnish Packaging Recycling RINKI Ltd. In transportation, we use careful planning and load optimization in cooperation with our partners to reduce environmental impacts. We also encourage our customers and consumers to use our products in an environmentally friendly manner and provide instructions that support this. 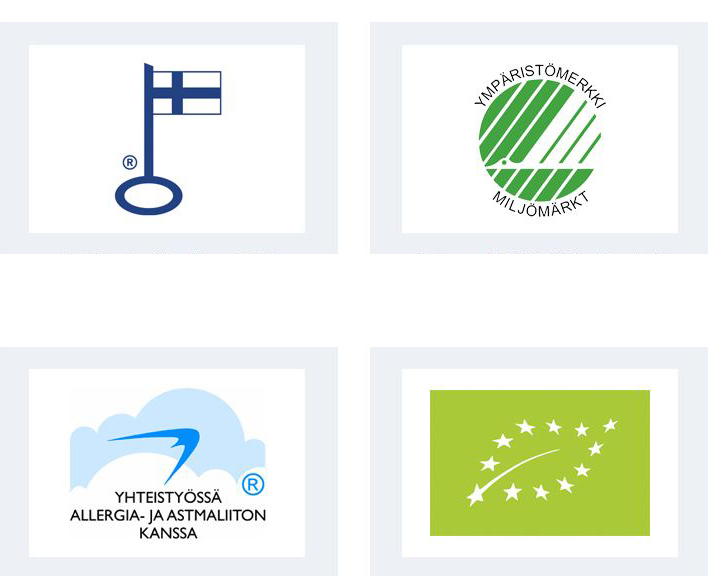 Several of our products have the Nordic Ecolabel, and over two hundred of our products have the Key Flag label. 77 products are approved by the Allergy and Asthma Federation. The development of our economic, social and environmental responsibility is reported in our annual review.